And you thought Facebook’s Beacon was intrusive? How about Beacon for the real world? 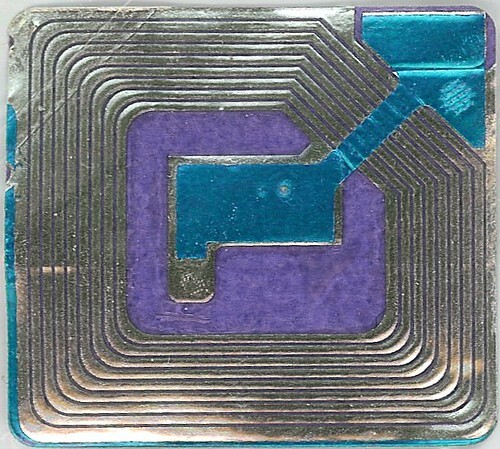 While I agree that there are many good and valid uses for RFID I am not in agreement that the regulations or security are in place for it just yet. Point? According to a Press Release from Rep. Jeff Morris (D – Mount Vernon) a new law in Washington will hereby may malicious RFID scanning illegal (this seems like a no brainer to me) such as for the purposes of identity theft. The law states that it would be a Class C felony to “intentionally scan another person’s identification remotely without his or her knowledge and consent, for the purpose of fraud, identity theft, or some other illegal purpose”. The bummer side? The opt-in requirements for retailers to provide consumer protection by not scanning a customer, their ID, credit card, shoes, products, or whatnot without their expressed permission has been left out of the language due to heavy lobbying by corporations. I find this completely unacceptable and think the consumers need to do a little mass lobbying of their own. Please consider contacting Rep. Jeff Morris or his staff to voice your support of the opt-in measure even if you aren’t in Washington. His contact information is available on the original press release.